Located within the Department of Veterans Affairs, the National Cemetery Administration (NCA) maintains military cemeteries across the United States for the burial of veterans and their family members. The cemetery system dates back to the Civil War era, and today comprises 135 cemeteries. Although the NCA has enjoyed a fairly quiet and innocuous existence, the office, along with a few of its cemeteries, came under fire in late 2007 for policy decisions and questionable actions and again in 2014. The first national military cemeteries were established in the 1800s in the wake of the Civil War. Prior to this, soldiers were typically buried at the site of death or military post cemeteries or were transported for burial to a private cemetery selected by a soldier’s family. But because of the war’s significant casualties (over 600,000 deaths), Congress adopted legislation in 1862 for the Army to begin creating a national military cemetery system. Five years later in 1867 the first National Cemetery Act was enacted by Congress which provided funding ($750,000) for the construction of national cemeteries and other facilities, such as superintendent lodges, perimeter walls, fencing and headstones. Because thousands of Union soldiers were scattered around the country by the end of the Civil War, Congress created a reburial program that located the remains of almost 300,000 Union soldiers and officers and had them re-interred in national cemeteries, though only 58% of them were ever identified. By 1870, the first period of expansion for the national cemetery system was complete, with 61 cemeteries established, including Alexandria National Cemetery (VA), Antietam National Cemetery (MD), Fort Leavenworth National Cemetery (KS), Philadelphia National Cemetery (PA) and Soldier’s Home National Cemetery (Washington, D.C.). From 1870 to the present, the National Cemetery System (NCS) underwent four other major periods of growth: 1930-1950 (seven cemeteries); 1970s (five cemeteries); 1990s (six cemeteries); and 2000s (five cemeteries in development). Although far fewer in number, the modern cemeteries are considerably larger in size. For instance, the first 61 cemeteries occupy a total of 748 acres, while the six cemeteries that opened in the 1990s cover 2,795 acres. The Army continued to run the cemetery system until the early 1970s when Congress adopted the National Cemeteries Act of 1973 which transferred the system to the Veteran’s Administration, which created the Department of Memorial Affairs. Two cemeteries remained under the authority of the Army: Arlington National Cemetery (VA) and Soldiers’ Home National Cemetery. During the administration of President Bill Clinton, a bill was passed that officially changed the NCS to the National Cemetery Administration. Leadership of the newly created NCA was elevated from a director to that of Under Secretary of Veterans Affairs for Memorial Affairs. The same legislation extended the right of burial in a national cemetery to merchant marines, adding to the inclusion of soldiers, sailors, marines, airmen, National Guardsmen, reservists and ROTC of the armed services, plus immediate family members of veterans. Located within the Department of Veterans Affairs, the National Cemetery Administration maintains national cemeteries across the United States for the burial of veterans and their family members. The NCA also maintains 33 soldier's lots and monument sites, marks veterans’ graves with a government-furnished headstone or marker, provides Presidential Memorial Certificates in recognition of veterans’ service and administers grants for establishing or expanding state veterans cemeteries. The NCA currently maintains more than 2.8 million gravesites at 125 national cemeteries in 39 states and Puerto Rico. The cemeteries occupy more than 17,000 acres, and just over half of that acreage is undeveloped, allowing for growth to reach in excess of four million gravesites. Of the 125 national cemeteries, 65 are open to all interments (burial and cremation). The largest national cemetery is in Calverton (NY) with 1,045 acres, while the smallest is in Hampton (VA) at the Virginia Medical Center, only .03 acres. Information regarding burial benefits can be found at Burial Benefits. To find out if you are eligible for burial in a national cemetery, check Eligibility. Information about headstones and markers are located at Headstones and Markers. Stakeholders primarily consist of current and past members of the armed services plus their family members. There are approximately 23 million veterans in the country today. Currently, 1.4 million men and women serve on active duty in the military, with another 1.5 million serving as reservists. Historically, approximately 12% of veterans choose to be buried in national or state military cemeteries. Some local contractors perform work for individual national cemeteries. These generally include gardeners and maintenance companies, as well as manufacturers of headstones and markers. a story about the disinterment of a Vietnam veteran who may have stolen another veteran’s identity. A man identified as William Hayes of the Bronx, who served in the Marines during the Vietnam War, was buried at Calverton in 2003. Four years later, another William Hayes, a retired printer from Harlem who served in the Army during the Vietnam War, died. When a funeral director tried to make arrangements for William Hayes of Harlem to be buried in Calverton, cemetery officials refused, saying William Hayes was already there. Following an investigation by cemetery officials, the remains of the first Hayes were eventually moved, representing the first disinterment of a veteran from a national cemetery, according to an NCA official, and reburied at a non-military cemetery in New Jersey. A niece of the second Hayes contended her uncle may have been the victim of identity theft, possibly by the first Hayes. Then in December, the wife of a World War II veteran was prevented from interring the remaining ashes of her late husband at Fort Rosecrans National Cemetery in San Diego. When Earl Holland died two years ago, his wife, Elizabeth, wasn't ready emotionally for a funeral. She scattered half of Earl’s cremated remains from a plane over the ocean off Carlsbad, then kept the other half in an urn by her bed. Last fall, she was finally ready to inter the remaining ashes and was given the green light by Rosecrans officials. But when she arrived with her three children and two grandchildren, the family was told “Taps” would be played and the flag-fold ritual would take place, but the ashes would not be accepted because of a cemetery policy that forbids the inurnment of partial remains. “It took me two years to crank up my courage to get there, and to be shut out at the door – well, I felt a little like Mary on the donkey being told there's no room at the inn,” said Elizabeth. Cemetery officials later admitted they were wrong, that the rule regarding partial remains had been misapplied, and agreed to let the family schedule another service. During the fall of 2007, the NCA and several national cemeteries received bad publicity for their actions, including a decision in September 2007 that was borderline anti-Semitic. A complaint was filed regarding the use of the 11th-fold words at the Riverside National Cemetery in Riverside, Calif., which prompted the National Cemetery Administration to ban the entire recital at all 125 national cemeteries. An NCA spokesman justified the decision by saying the 13-fold recital is not part of the U.S. Flag Code and is not government approved. The ban lasted less than two months. By November, after veterans blasted the rule change, the NCA reinstated the 13-fold recital. I worked at Willamette National Cemetery. I was bullied out of that job. The bully continues to work there. There is disrespect, mistrust, favoritism and unprofessional behavior going on. My Mother and Father are buried there and I cannot say that I am proud of that fact. Ronald E. Walters, a career employee in the Department of Veterans Affairs (VA), took over as interim under secretary for memorial affairs on June 23, 2014. He is currently the acting under secretary for memorial affairs. The National Cemetery Administration (NCA) maintains military cemeteries across the United States for the burial of veterans and their family members. The cemetery system dates back to the Civil War era, and today comprises 135 cemeteries. Walters, the son of a Coast Guard veteran, earned a B.A. from Georgetown University in 1984 with a dual degree in Government and English Literature and started at the VA the following year as a budget analyst. He went on to earn a master’s in public administration from George Washington University in 1986 and a Ph.D. in political science from Johns Hopkins in 2002. Walters also worked for a time in the Office of Management and Budget. 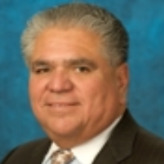 In 2003, he was named associate chief financial officer for budget and planning in the Office of Personnel Management. Walters moved to the VA as the National Cemetery Administration’s deputy under secretary for finance and planning in July 2006. In January 2009 he was named principal deputy under secretary. He took over as acting chief of the NCA in 2014 when its previous leader, Steve Muro, retired under a cloud. Since becoming boss at NCA, Walters helped oversee the expansion of the national cemetery system, getting the threshold for new sites cut from 175,000 veterans within a 75-mile radius to 80,000 within that area. He also approved the first monument at a national cemetery for LGBT veterans and in 2016 implemented a policy prohibiting the flying of the Confederate flag at permanent flagpoles in national cemeteries. Walters is also an instructor in political science at the University of Maryland-Baltimore County. Steve L. Muro, who was named Acting Under Secretary for Memorial Affairs on January 21, 2009, has spent more than 30 years working for the nation’s military cemeteries, rising from auto mechanic to acting head of the National Cemetery Administration. Muro is a graduate of Mt. San Antonio Junior College in Northern California, where he earned his associate’s degree. He served in the U.S. Navy from 1968 to 1972, including two tours of duty in Vietnam. One was on board the USS Benjamin Stoddert and another with a mobile construction (Seabee) battalion. Muro began his career with veterans’ cemeteries in 1979, as an automotive mechanic at Los Angeles National Cemetery. He was eventually promoted to maintenance foreman, and in 1981 was selected to attend the Cemetery Director Trainee Program, conducted at Riverside National Cemetery. Upon completing this training, he became the assistant to the director of the Los Angeles National Cemetery. From there Muro continued to move up. He was director of the Baton Rouge and Port Hudson National Cemeteries; assistant director and director of the Long Island National Cemetery; assistant director of Riverside National Cemetery; director of Fort Snelling National Cemetery; and acting director of the Golden Gate and San Francisco National Cemeteries. In 2001, Muro was assigned to the newly formed Memorial Service Network V, where he served as its director through 2002. He served as director of the Office of Field Programs from February 2003 to October 2008, in which position he provided leadership and direction for the National Cemetery Administration’s field offices and facilities, including 128 national shrine cemeteries. Under his guidance, a new training center was established, and NCA created a nationwide National Cemetery Scheduling Office. From February to November 2005 Muro served as the acting deputy under secretary for memorial affairs, during which he assisted with the organization at several Senate hearings regarding future land acquisitions and fiscal planning. In October 2008, Muro was named the permanent deputy under secretary for memorial affairs, and three months later, he became the acting under secretary for memorial affairs.